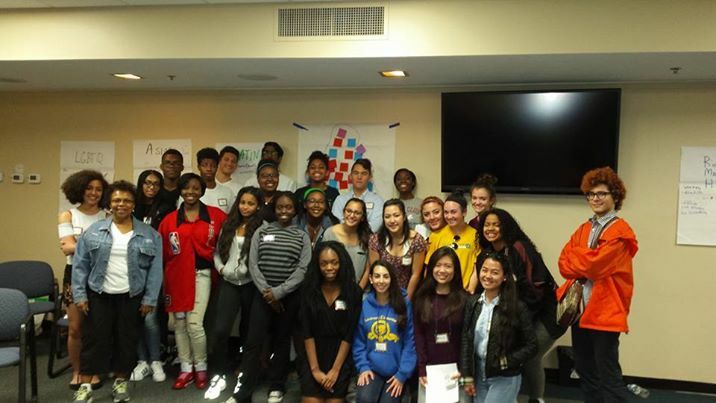 Annually, the Rockville, Maryland Human Rights Commission hosts a diversity leadership workshop for high school-age students in the Rockville, Maryland area. Rockville, my hometown, is a city of about 64,000, just northwest of Washington, DC. It is a diverse community with large numbers of residents who claim homelands in Asia, particularly China; Latin America, particularly El Salvador; and Africa, such as in Nigeria, Kenya, and Rwanda. In addition, our community includes African-American and White populations. This diversity reflects the multi-cultural environment that is the Washington, DC suburbs. As such, young people raised in our community are both sensitized to and, at times, oblivious to diversity: it is a natural state for them, one that they might not give too much thought to. Of course, diversity has many interpretations. For most, diversity reflects traditional racial, ethnic, and religious categories that are protected under local, state and federal law. This “legal diversity” is important, but to only examine differences in that context fails to consider other forms of diversity. And it is these other forms that frequently are contested today. Our workshop this year was on April 16, and we brought together 30 students from area high schools, including students from the local community college, and some international exchange students. Looking at the group, one would consider it a model of traditional diversity: all hues of skin color, students with names that are hard to pronounce, and family heritages from all corners of the planet. Looking at our group, one might think we have “conquered” the diversity question, and can move on. But diversity today takes more subtle forms. We are diverse not only because of where we from, but how we live. Diversity that is characterized by social and economic differences, individual learning disabilities and challenges, differing levels of psychological wellness, sexual identity, and political and social views are all ways of considering how we differ. These differences can cause polarization and even isolation within society: poor vs. rich; students who isolate themselves vs. those who engage with others; students with disabilities vs. those who do not have them; and students with “traditional” sexual identities vs. students who identify as gay, bisexual and transgender. As such, during our program we strove to have students recognize that diversity is something that is deeper than skin color and heritage and is a constantly changing and evolving notion. The objective overall of the workshop was to get young people to take on leadership roles in working to bridge differences between themselves and those who are diverse in the ways we might consider in our multi “everything” society. Exploring ways of engaging the loner, the new student, the transgender student, or the student who espouses values different from your own offer important bridge building and peacebuilding opportunities. During our workshop we had students role play situations where they needed to bridge differences. They also worked in groups to develop media, music, and even poetry that might promote diversity. Our hope was that students left appreciating a broader and more fluid notion of what it is to be different and the ways in which these differences are enriching for our community.